Sent my wife and kids to the beach this morning, only to be left alone in glorious silence for the start of NFL Sundays. The Eagles are undefeated! A bit of poor planning had me making an unplanned run over to Total Wine to be sure I was ready for this afternoon. The store wasn't very busy, but the Assistant Manager and I had a laugh when I asked him where the hell all of their singles were. The Total Wine beer customers were voracious last night and emptied the place! They were even breaking open new six packs to get their fix. Nice job, guys! 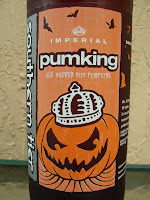 Today I'm drinking Pumking, an imperial pumpkin ale brewed by Southern Tier Brewing Company in Lakewood, New York. This is my first pumpkin beer of the season. There are a couple that I will drink again that I've had before, but this is a new one for me. 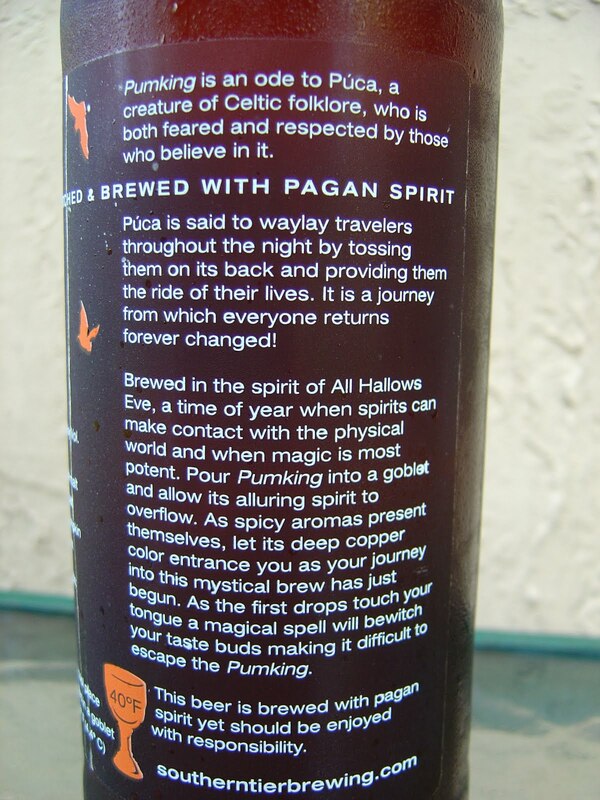 "BEWITCHED & BREWED WITH PAGAN SPIRIT", this is an ode to Púca, a creature of Celtic folklore. (I had to look what the hell they are talking about, and it's funny because someone plagiarized someone else). Shhh. I wont say anything. Serve at 40 degrees F.
Smells like Thanksgiving. 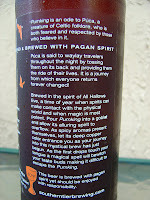 Malty pumpkin, spicy pie, sweet and rich, with a hint of hops in the background. Great super-prominent aroma. Oh yeah! Now that's what I'm talking about, Willis! 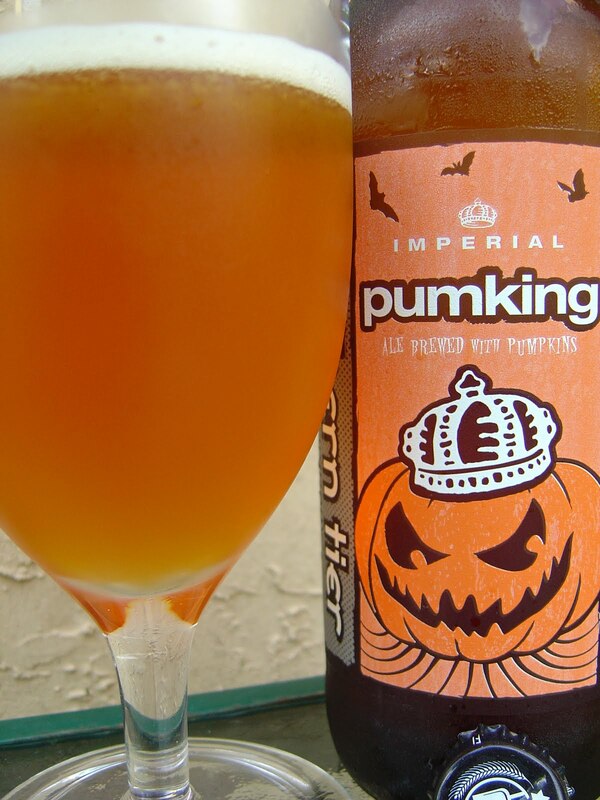 Rich, malty pumpkin flavors. Bread, dough, caramel, pie crust, orange liqueur, dessert. There is a small sweetness in the beginning, but that's the last sweet you will taste as there is an immediate hops and 9% alcohol balance. Yeah, the alcohol cuts the sweet rug, if you will! Spicy cinnamon and cloves, not overly done though. Brown sugar and baking pie crust. Just all around pumpkin pie, minus any sweetness. Creamy with a small bite from the alcohol and spice. Nice carbonation, too. 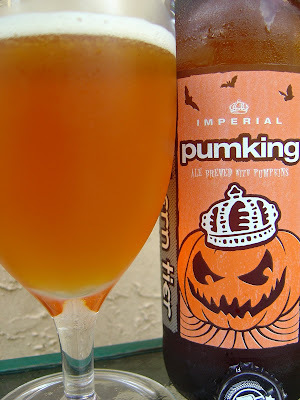 One of my favorite pumpkin beers, no doubt. Check it out! Oooooo, I thought about getting this yesterday....I will have to run down to the Total Wine and pick up. This one was pretty good, bunny. 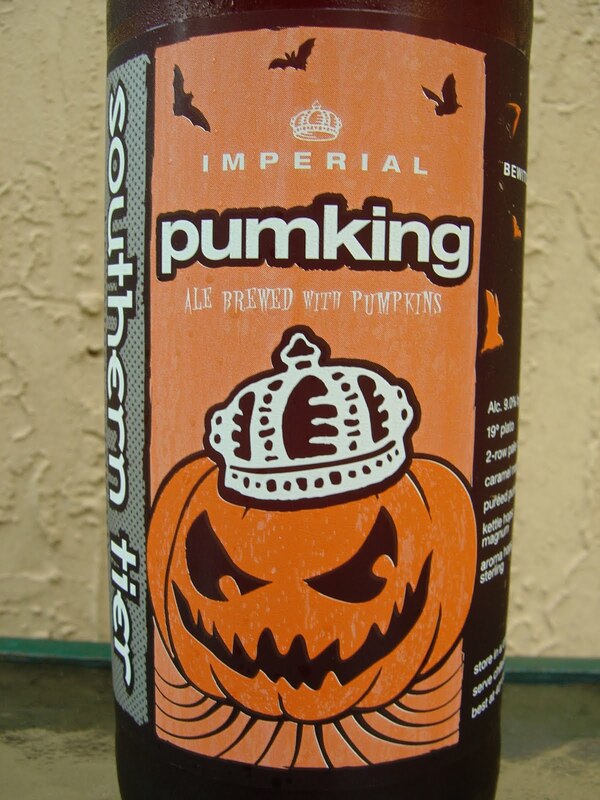 Up there with Dogfish Head Punkin Ale. I drank one of the Terrapin last night...it was ok but I did not loves it. I got a new Terrapin today, Side Project #12, which I think is an imperial IPA, but don't quote me on that. I was NOT paying attention.